And while for normal people it means “one day closer to Friday”, to me Tuesday equals either a yummy treat, a helpful hint, or a down right FAIL. Thankfully, today’s Try It is no fail. Oh no my friends, it is one epic WIN. Its also brought to you by my mom and sister, Bridget! So BB (that’s what I call Bridget) found a pin on Pinterest (obviously, where else would she find a ‘pin’?) and it looked too yummy not to make. 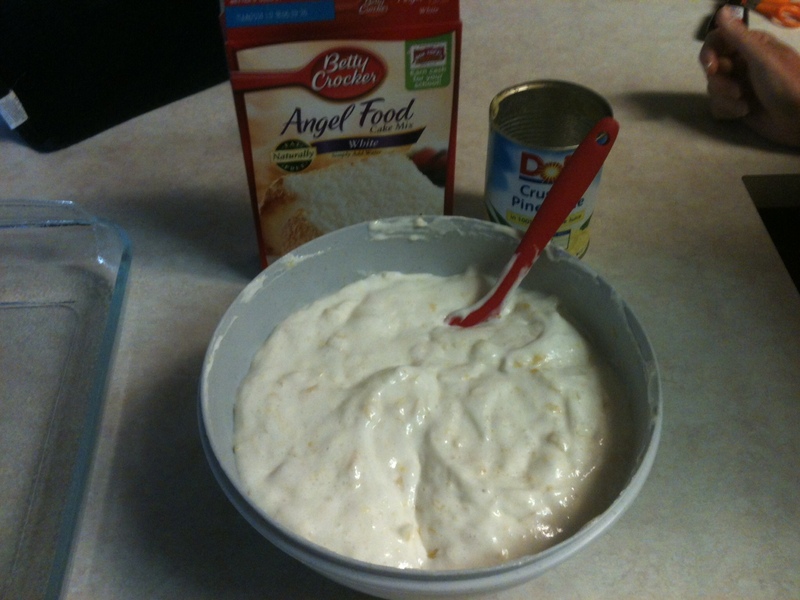 All it said was: take a box of angel food cake, a teensy bit of vanilla, and mix with crushed pineapple.” There was also a recipe for a topping that she found after she did some digging. My parents LURVE anything pineapple (seriously, when we all went to Hawaii, I think the Dole Plantation went out of business) and were eager to help with this one! 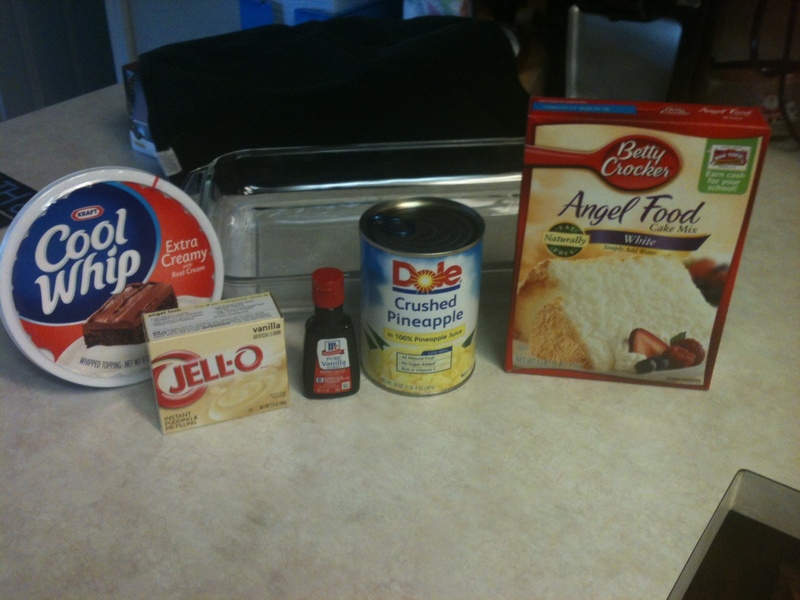 While the cake cooled, they set to work on the topping. 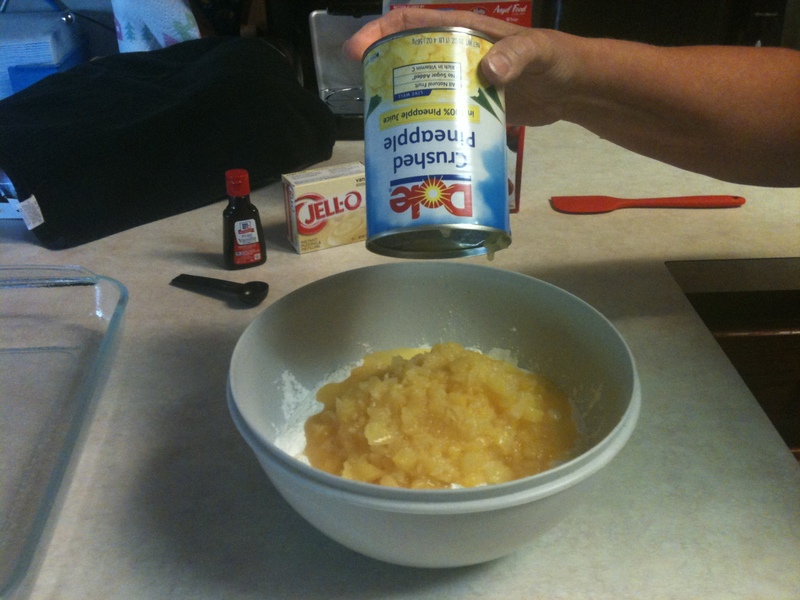 It was a fairly basic recipe: Cool Whip, vanilla Jell-O, and a small can of crushed pineapple. 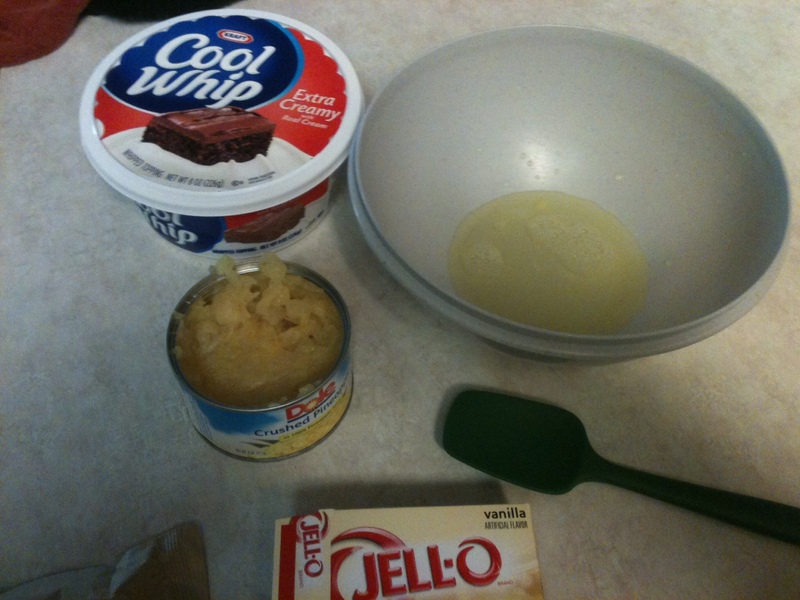 I never would’ve made it to the second step; I would’ve eaten everything before it got mixed. 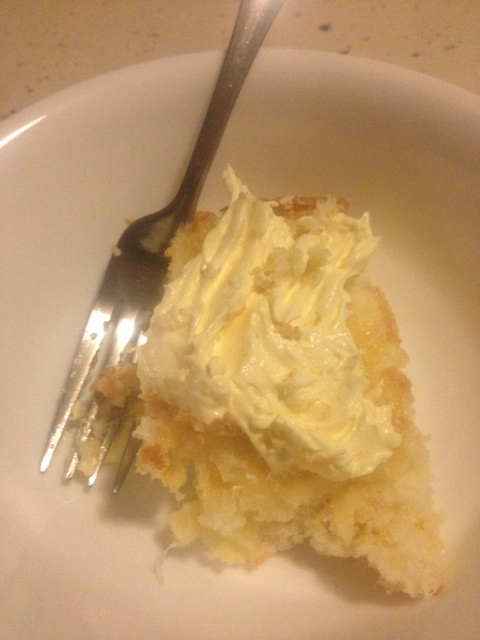 When the cake cooled, they spread the topping on the cake. OMG, you guys. This cake was UN-BE-LIEVE-ABLE! It was so good! The only thing missing from my piece was me enjoying it in the hammock at my Dad’s Tiki Hut! It was absolutely delicious and tasted like restaurant-quality! 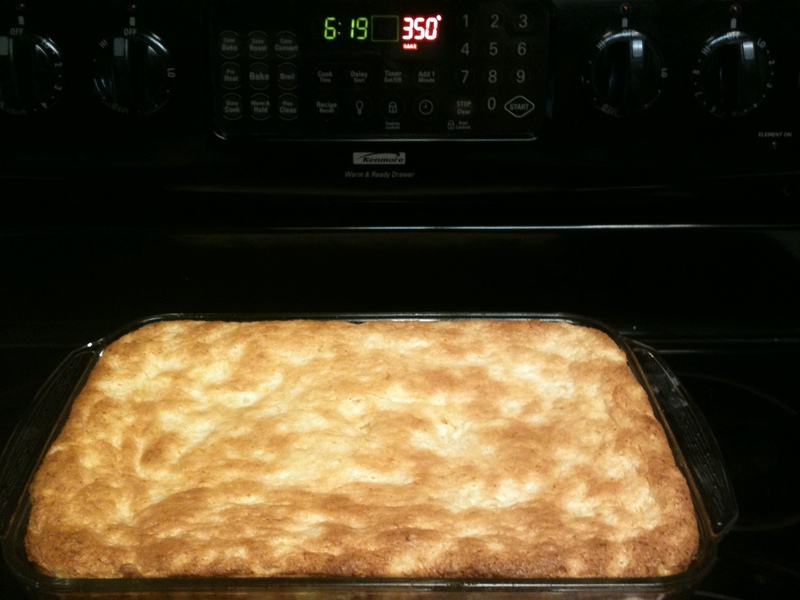 Definitely going to make this again!